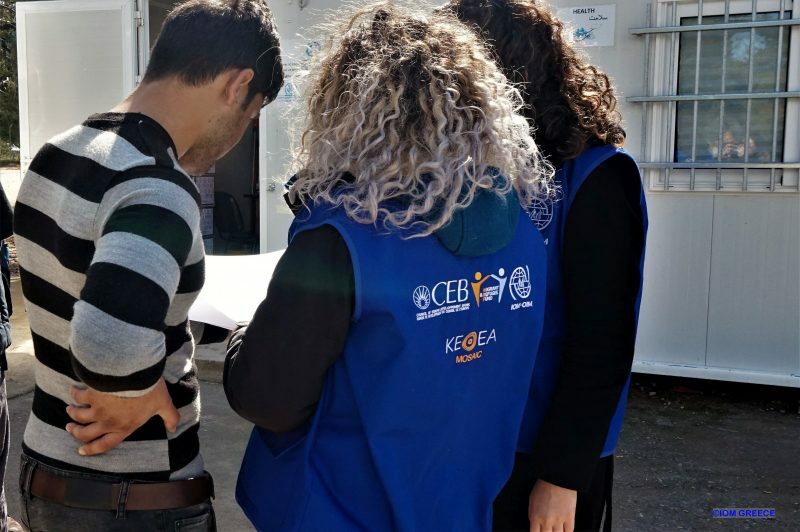 The International Organization for Migration (IOM) – The UN Migration agency and KETHEA, announced today the first expanded and targeted project aiming at addiction prevention and treatment for migrant and refugee populations stranded in Greece. The “REFRAME” project, (Responding to Emergency needs and Fostering Refugees and Migrants’ Empowerment) is supported with funding from MRF GRANT received through the COUNCIL of EUROPE DEVELOPMENT BANK. The project aims at implementing a holistic protection response to assist migrants and refugees coping with challenges that jeopardize their health and safety and affect their future inclusion into the Greek society. Since the beginning of 2018, the project is being implemented in the open accommodation sites of Malakasa, Thiva and Ritsona, Thermopiles and any other accommodation site upon need,while it is gradually expanded in accommodation facilities for unaccompanied migrant children located in the center of Athens. Enhanced emergency accommodation and specialized assistance to SGBV victims, including through awareness-raising outreach. Developing and implementing prevention and response mechanisms to drugs abuse/addiction by providing counselling services and facilitating referrals to treatment facilities. Minimizing risks of violence and abuse by promoting the active engagement of migrants and refugees to livelihood activities. KETHEA’s specialized drug addiction sounsellors, and IOM’s legal counselor and cultural mediators are operating on the field, while the team is expected to be reinforced with a psychiatrist, a psychologist, a social worker and a special tailor – made mobile information unit.